Medicare for All is good policy. It's also very easy to understand. Paul Demko has a bizarre piece at Politico where he tries to passive-aggressively criticize Medicare for All by acting like he doesn’t understand things that are actually not hard to understand. Because he’s a straight reporter, Demko can’t just say “I don’t like Medicare for All” and instead has to do the “just asking questions” schtick to get across the same point, resulting in a piece that is profoundly stupid. Nonetheless, let us go through the things he’s confused about and answer them. 1. What does it even mean? 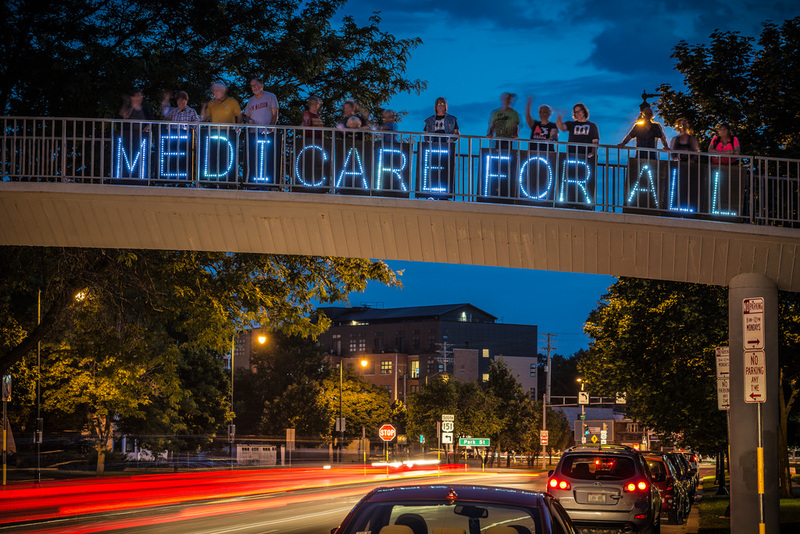 Medicare For All is a system of national health insurance that covers every American. The most prominent proposals have a wide coverage universe (including dental, hearing, and vision) with very little cost-sharing. 2. How would we pay for it? You would use taxes to do this, such as employer-side payroll taxes, and income taxes. These taxes would replace the money Americans currently contribute to the health care system and save them, on net, $2 trillion between 2022 and 2031. 3. What happens to [private] insurance? It goes away for everything in the coverage universe of Medicare for All, once the program is fully implemented. 4. What happens to doctors? They are paid money by the new national health insurer just like they are currently paid money by Medicare and Medicaid. The Bernie Sanders plan sets their reimbursement rates equal to the current Medicare rates, which represents a provider payment rate cut of around 11 to 13 percent. This cut is equal to the provider-side administrative savings we can expect providers to realize under Medicare for All and therefore represents no cut to the pay of doctors and nurses. 5. What happens to Medicare itself? It is hugely improved because it gets a larger coverage universe and lower cost-sharing.